Second grade teacher and Lower School community service coordinator Rachel Gerber is pleased to announce that Lower School boys have been busy recently with a number of community service initiatives. "The annual Ronald McDonald Fun Run took place on November 8, with approximately 30 boys in attendance," she said. "It was a fun morning for all, and the Browning runners made us proud! Firefighters lined the course of the race and helped cheer on the boys as they ran distances between 220 yards and 1/2 mile, depending on their age." Many of the boys later walked over to the Browning Book Fair, where they were able to trade in their running bib for an ice cream sundae. The Ronald McDonald House program provides a “home-away-from-home” for families so they can stay close by their hospitalized child at little or no cost. The houses are built on the simple idea that nothing else should matter when a family is focused on healing their child – not where they can afford to stay, where they will get their next meal or where they will lay their head at night to rest. Ms. Gerber added, "The second event involved collecting coins for City Harvest's Truck or Treat program, which donates food to those in need. 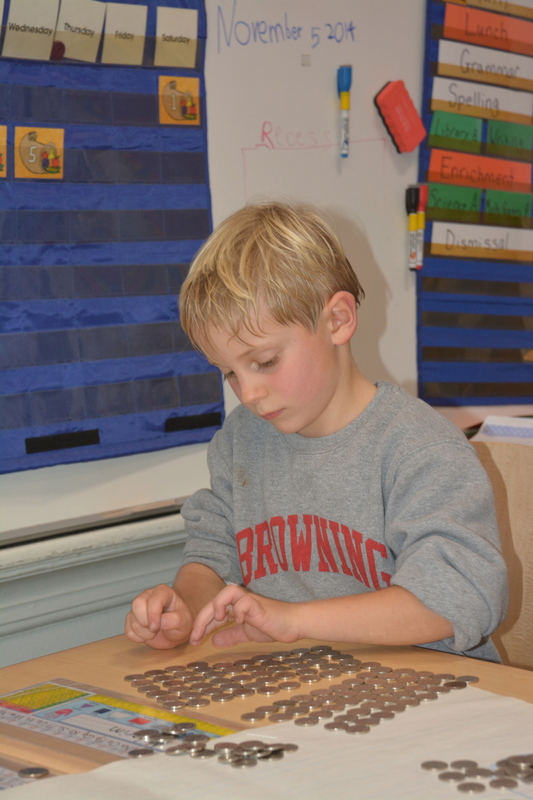 Second grade boys counted the coins and later took them to a local TD Bank for a final count, where it was confirmed that they were very close: their count came within $4.26 of the total actually collected. The boys discovered their efforts had raised $1,565.74! At the bank, the boys each took turns inserting coins in the Penny Arcade machine and were also given TD memorabilia, including their very own piggy banks for future savings. At 25 cents for a pound of food, the funds they raised are a tremendous help! 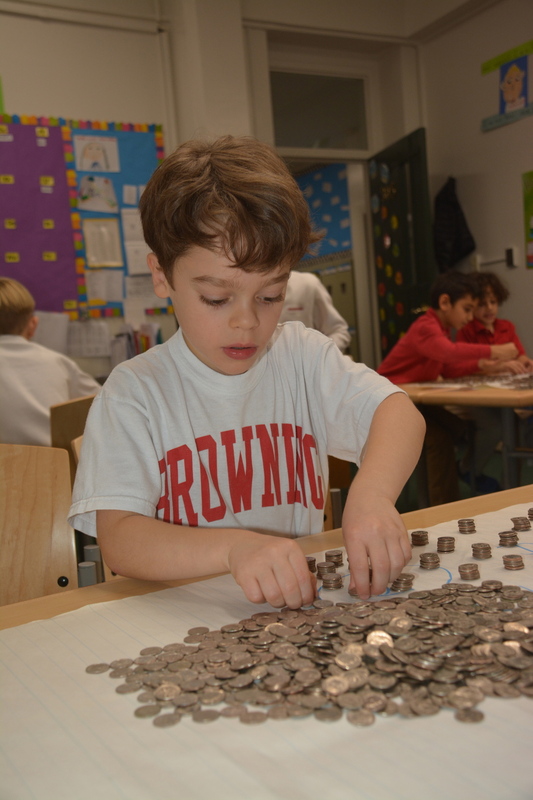 During the counting, the boys found Mexican pesos, euros, Ecuadorian centavos, Israeli shekels and New Orleans Mardi Gras coins mixed in with American currency. Thank you to the families and Browning gentlemen who contributed their time and efforts to both causes!"